T.I.M.E. 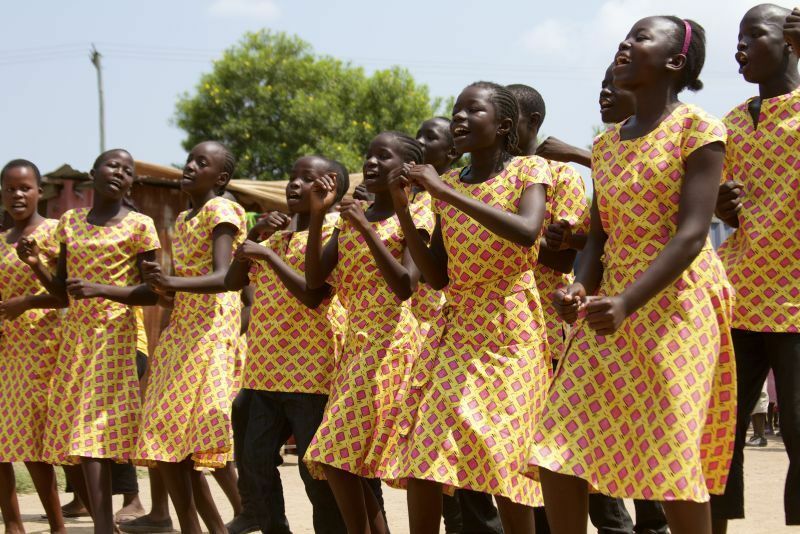 hosts the Light the Future Choir, an exciting youth ensemble from Kenya! In 2014, the S.T.A.R.S. (Singers Taking Action Reaching Souls) founded T.I.M.E. (The International Music Exchange), an organization designed to bring vocal groups with whom we’ve shared stages all over the world to America as a platform to expose our brothers and sisters to the incredible talent that we’ve experienced during our global ambassadorship. Last year, we hosted Kenya’s Safari Voices International (SVI), a fifteen-voice ensemble that gives soul-stirring performances and shares our vision for raising the vibration of our human family through song. With the support of individuals and corporations, our intention to bring the Kenyans to America in the fall of 2015 was fulfilled! They performed in venues throughout New York, Las Vegas, Los Angeles and Denver on a 10-day concert tour. We are happy to announce that our 2016 exchange will be Kenya’s Light the Future Choir, an eighteen voice ensemble whose youthful exuberance is thrilling to experience. The Light the Future choir members are orphans ranging from 11 – 18 years of age who serve as ambassadors for The Maisha Project, representing the village of Kano, Kenya. Our intention, with your support, is to host these young singers in November 2016 for a five day experience of New York City. Our goal is to perform in select venues, experience a Broadway musical, tour historic sites and share cultural experiences with local students. The S.T.A.R.S. Foundation (Souls Taking Action Reaching Souls) is a 501(c)3 non-profit organization and all of your donations are tax deductible. Donate Today and Be a Part of This Life Changing Adventure! Copyright © 2019 The Foundation for the S.T.A.R.S. All rights reserved.